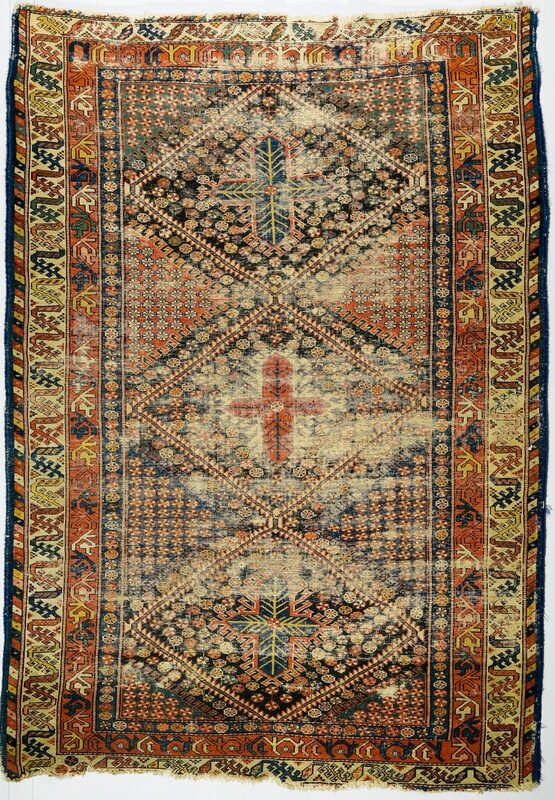 Lot 914: Vintage South Persian rug, 4’10" x 6’11"
You are here: Home >> July 30, 2016 Historic Southern Summer Auction >> Lot 914: Vintage South Persian rug, 4'10" x 6'11"
Vintage South Persian area rug, three diamonds in field, colors of blue, ivory, green, gold, rust and brown. 4’10” L x 6’11” W, c. 1930. 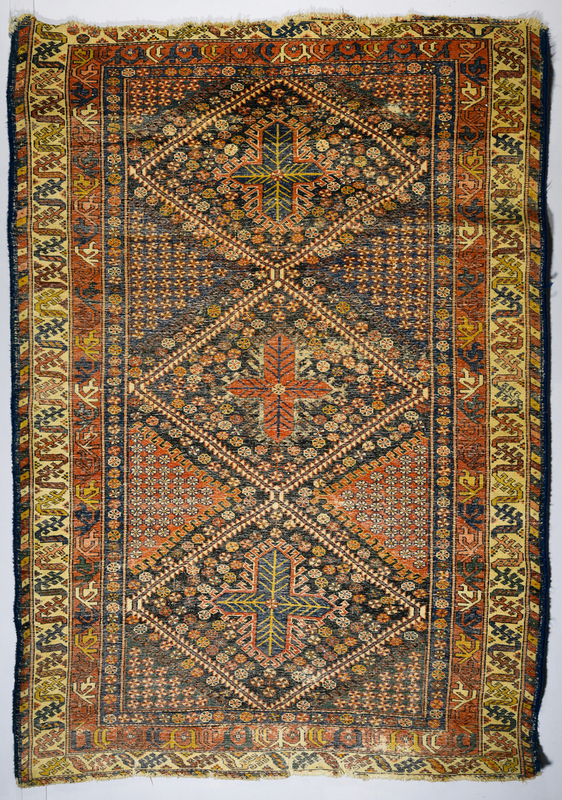 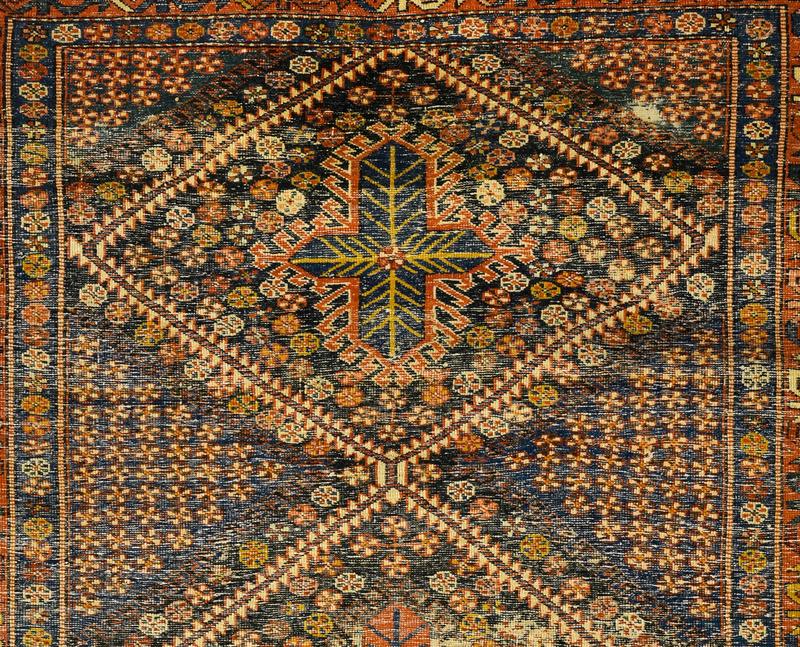 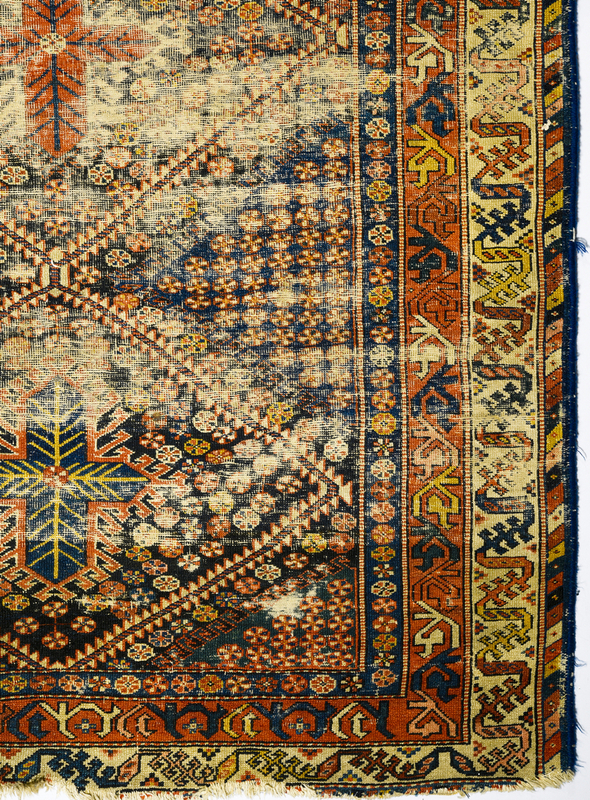 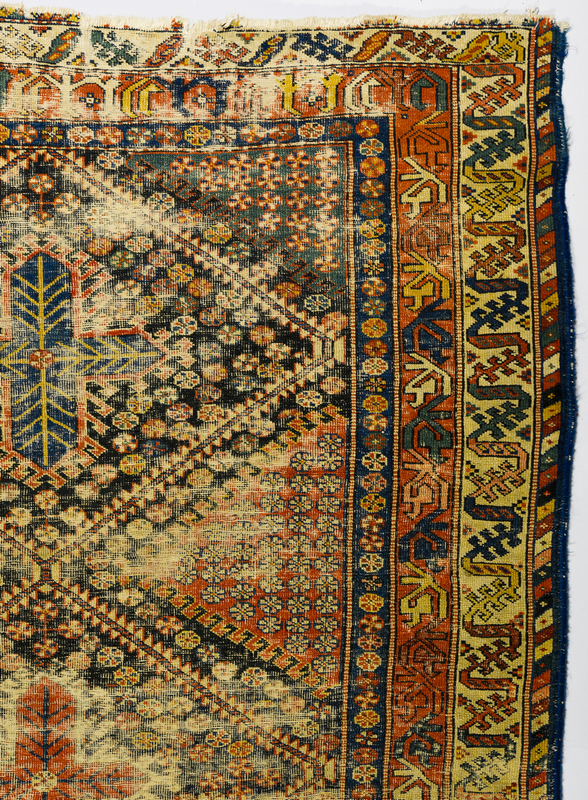 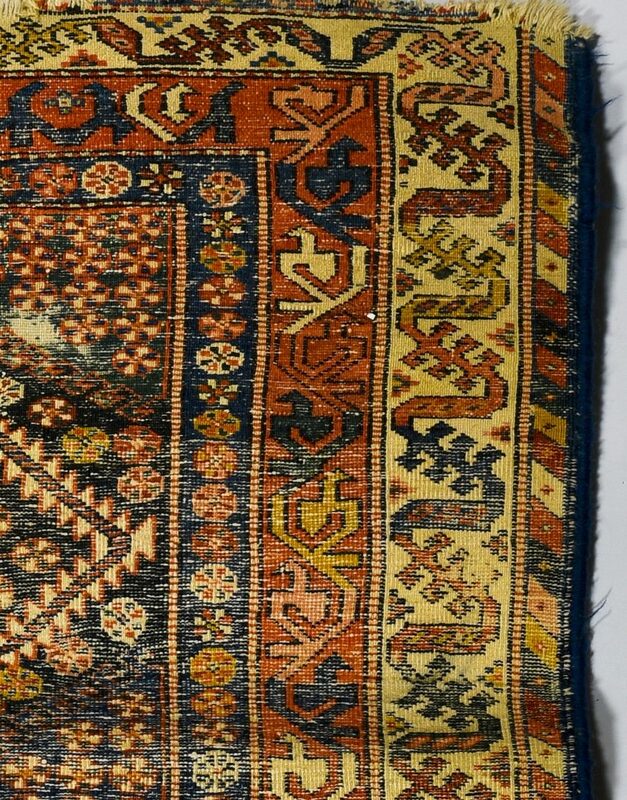 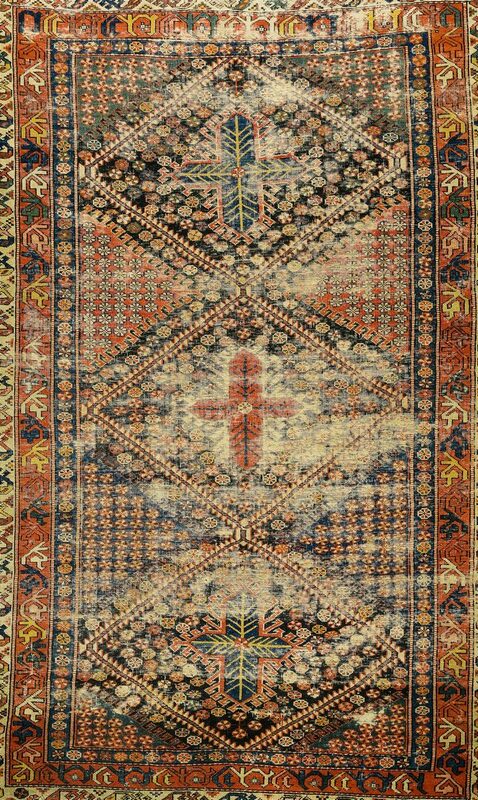 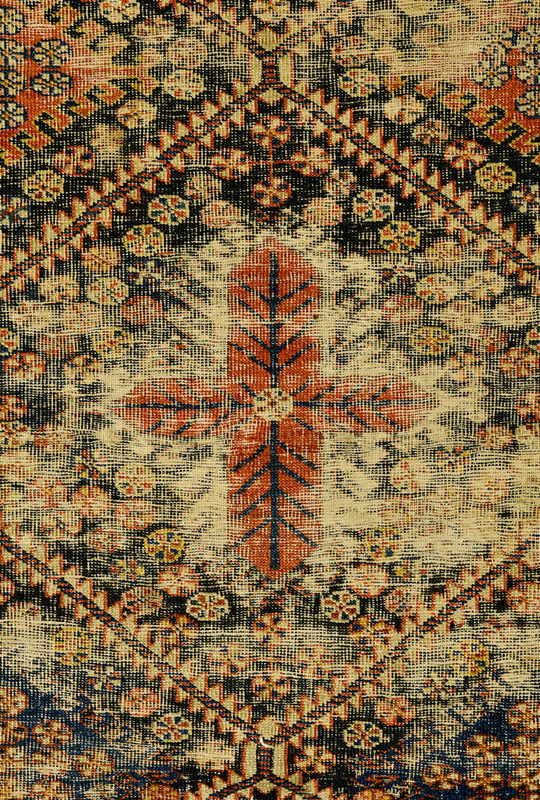 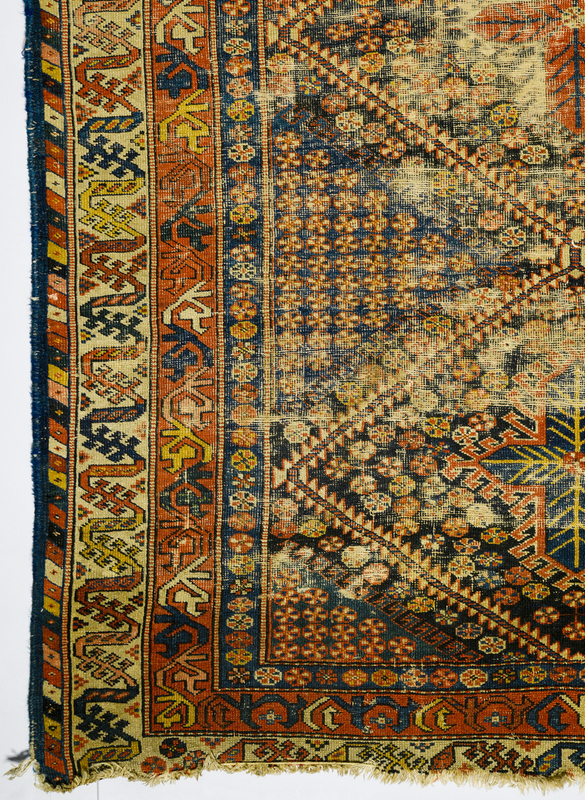 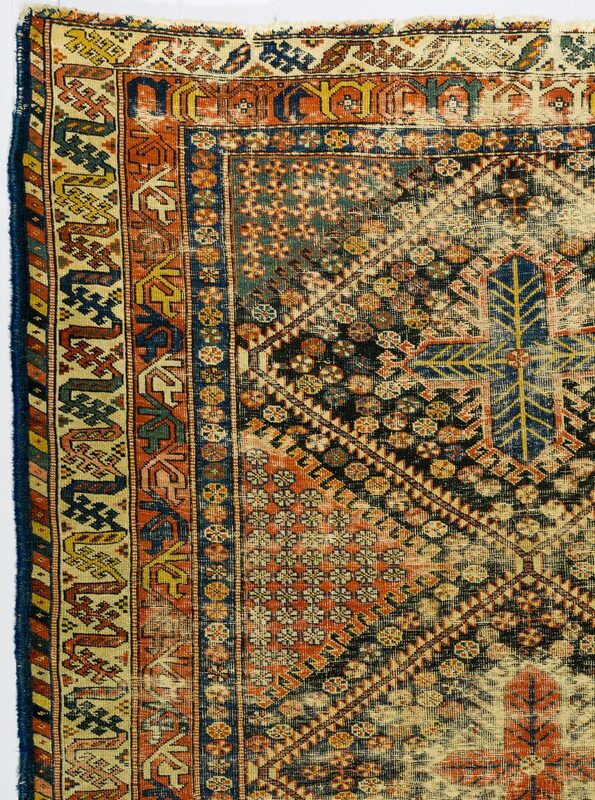 Provenance: Collection purchased from K. A. Menendian Rug Gallery, Columbus, Ohio, 1920-1940, and descended in family of present owner. 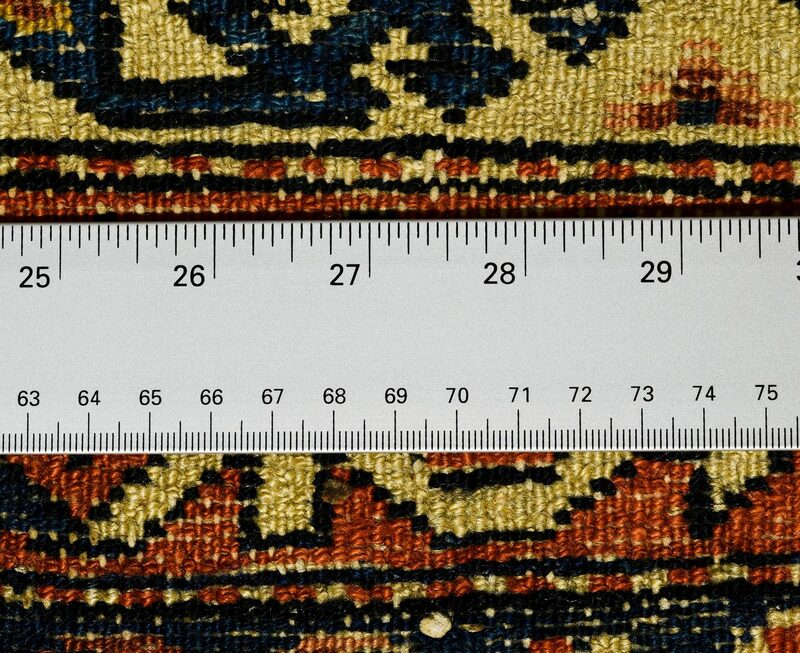 CONDITION: Overall wear, selvedge rebound, losses to ends.